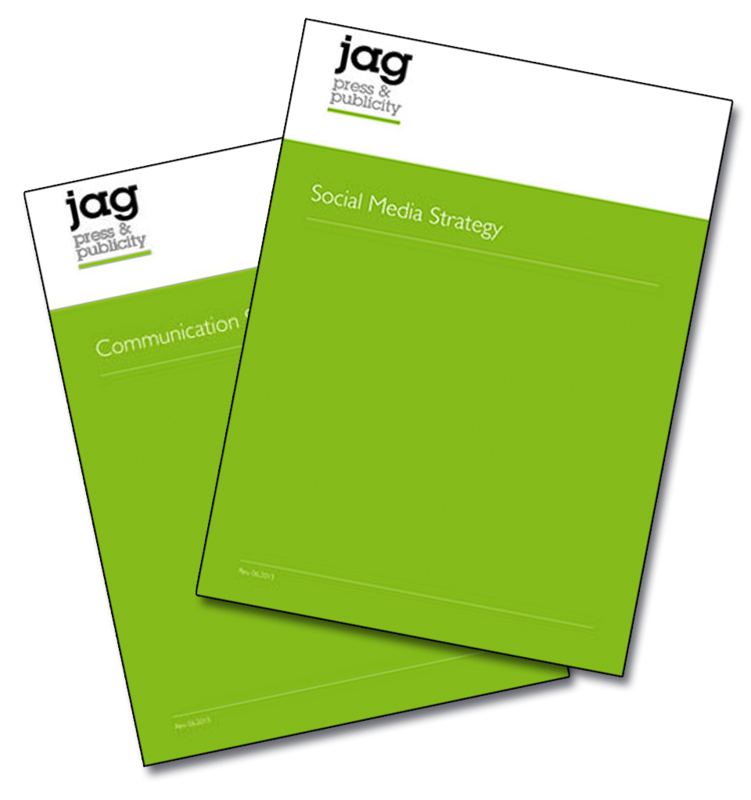 Need to extend your communication strategy to include a detailed focus on social media? This DIY PR package provides you with a step-by-step guide, and templates, on how to put together your communication strategy and how to develop your social media strategy. A one hour consultation is included in this package, where jag’s expert can advise you on either or both of the strategies. Split the time according to your needs or use in one session.